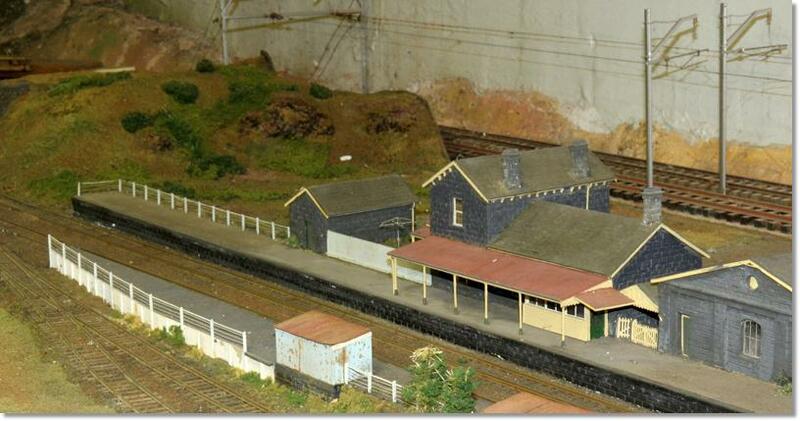 Malmsbury, looking a little the worse for wear, in the VMRS clubrooms, 2013. More pics of Malmsbury. The layout was faithful to the prototype track plan and there was a double-track oval running through the seven-road fiddle yard which featured push button route selection based on ex-PMG relays. The structures were scale replicas of the real ones. The two storey station building, the goods shed and the spectacular viaduct over the Coliban River, all bluestone, set the scene for the station being on the Bendigo line. The bridge and the walls of the buildings were thin latex castings applied to a timber structure. The latex was re-inforced with tissue paper for strength. Other details were assembled using the technology of the time; it was before the ready availability of sheet and strip styrene and other modelling materials that are taken for granted nowadays.